Admiral Maltings - Red Seven - per. lb. - F.H. Steinbart Co.
Home / Ingredients / Malt/Grain / Organic / Admiral Maltings – Red Seven – per. lb. 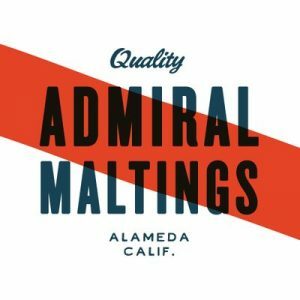 Admiral Maltings – Red Seven – per. lb. Imparts a light brown color with earthy and sweet aromas of pretzel, dried fruit and honey. Our one of a kind kiln produces caramel malts that undergo a combination of caramelization and complex Maillard reactions to produce deep color and robust aroma and flavor with more fermentable extract and less residual sweetness than caramel and crystal malts of comparable color produced in drum roasters. All of Admiral’s malts are produced from grain grown sustainably by California family farms. The UC Davis Experimental barley used in this batch of Kilned Caramel 20 was grown using no-till farming practices by Bob Schaupp in his fields outside of Woodland, CA.